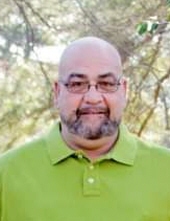 Mr. Anthony “Porkey” Locklear of Rowland was born in Scotland County to the late Curtis Lee Locklear the late Maggie Lee Hunt and departed this life on January 11, 2019 at his home completing his journey of 60 years. Along with his parents, he was preceded in death by two sisters: Loretta “Butterfly” Locklear and Minnie Clark. Porkey leaves to cherish his memories, his wife: Mary Locklear of the home; two daughters: Kimberly Locklear and Beth Locklear, both of the home; two grandchildren: Brayden Anthony Locklear and Michael Anthony Chavis, both of the home; and a host of nieces, nephews, cousins, and friends. The family will receive friends from 6-8 P.M. on Thursday, January 17, 2019 at Boles Funeral Home in Rowland. To send flowers or a remembrance gift to the family of Anthony "Porkey" Locklear, please visit our Tribute Store. "Email Address" would like to share the life celebration of Anthony "Porkey" Locklear. Click on the "link" to go to share a favorite memory or leave a condolence message for the family.